Ogres are like onions | Random moosages as I see fit. And I found this monstrous one. 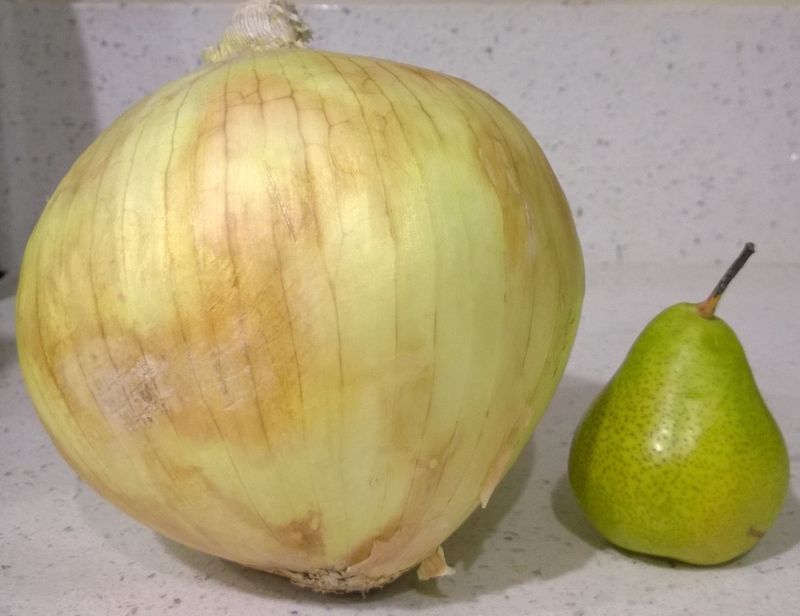 …ok, so while it is indeed a very large onion (about 5″ in diameter) it looks bigger because I stuck an extra small pear by it for reference. It’s Forelle pear and it is one of my favorite snacking pears. Um…thus ending the post on fruits and vegetables.